The future is in your hands. Your future. The aequel to one of the most revered games of all times is here. With an exciting new combination of play elements. Eighteen different training events. 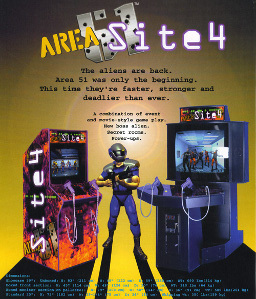 Awesome all-out alien war. The deadly Alien Queen. Three configurations: Showcase 39″, Standard 25″, Universal Kit. All affordably priced. Don't wait. Site 4 is going to be a scorcher.